It’s never too early to start preparing your child for his or her Montessori education. By introducing Montessori-inspired activities to a child’s play time at home, you can help to make the transition from home to your child’s first Montessori school a fun and stress-free experience. At the age of four, your child is discovering new things every day about the world he or she lives in. Everything, from their own body to the weather is of fascination to young children and, there are a number of activities you can do with your child in order to harness this fascination. At this age, your child will recognise that sometimes it’s cold and they need to wear a sweater and, other times, it’s hot and they have trips to the beach or the park. This is a great time to start teaching your child about the seasons with a Season Collage Board. Attach a large piece of card to the wall in the child’s playroom and divide it into four sections marked Spring, Summer, Fall and Winter. Discuss with your child these four seasons and, what they mean to the child. Together, you can then collect clippings from magazines, your own photographs and stick them to the collage in the corresponding section. You can also add simple key words to the collage which your child will understand such as hot, cold, rain, snow, beach etc. This is a great way to teach your child not just about the seasons but also about observation and identification and, rudimentary reading and writing skills. It’s extremely important for children to gain an insight into different countries and cultures – and to understand that geography needn’t be boring. Download child-friendly maps from Kidzone and, concentrating on one country or region at a time, explore it with your child, noting down details such as language, food and quirks. It’s a good idea to take this one slowly, concentrating on one country per week so that your child doesn’t become overwhelmed. Try cooking a dish from that week’s country and learning a word in that language and noting these down in a World Diary. Many Montessori schools include nature and agriculture studies and this is a really easy one to give your child a head start on. Take a walk with your child around a local park or beach. Stop regularly to observe what is around you and discuss with your child. Collect objects such as acorns, sea-shells and leaves and discuss them. Back home, attach these objects to a collage and encourage your child to look through magazines to find pictures of similar items to add to the collage. You can also add key words, photographs of your own and drawings. As your collage grows, so does your child’s understanding of the world around him or her. 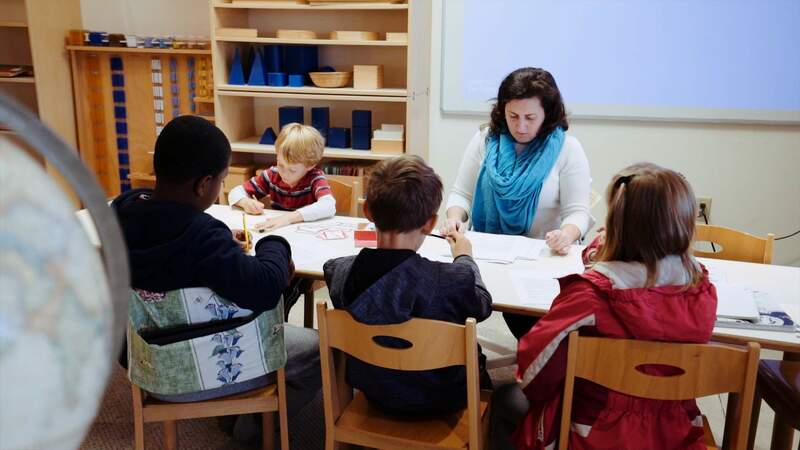 Montessori education in Virginia is very much child-based and child-focused so, if your child does not show an interest in a particular activity then, put that activity aside for another time and try something new. Trying different activities is a fantastic way of finding out where your child’s interests lay and, cultivating those interests.